A floor is more than just a place to stand. It’s the foundation of any home or business and plays a key part for the look and feel of a space. Of course, that can go both ways. Attractive flooring can add to the appeal of a room or space. Dingy, dirty floors can make a place feel, well, dingy and dirty. Fortunately, Dura-Tile II Entrance Tile keeps your floors safe and clean while adding to the aesthetic appeal of your space. You spend a lot on your flooring. Regular foot traffic will drag in dirt, moisture, and debris that will turn a beautiful floor into a mess in no time. Dura-Tile II Entrance Tile provides an aggressive barrier before a step is placed on your flooring removing all the dirt, moisture, and debris while remaining attractive and functional for years. Dura Tile II is made from recycled bus and truck tires manufactured into rubberized fabric strips that looks like carpet with unmatched durability. Maintained is easy just vacuum or hose for years of dependability. In addition to Dura-Tile II, you can also choose from Designer Dura-Tile II and Dura-Tile II Colors. Designer Dura-Tile II comes in triangles to form an attractive pattern and can be combined with other Dura-Tiles for custom layouts. Dura-Tile II Colors adds a blast of color to our standard earth tone color to match any décor. If you want to pair appearance, durability and functionality Dura-Tile II is for you. 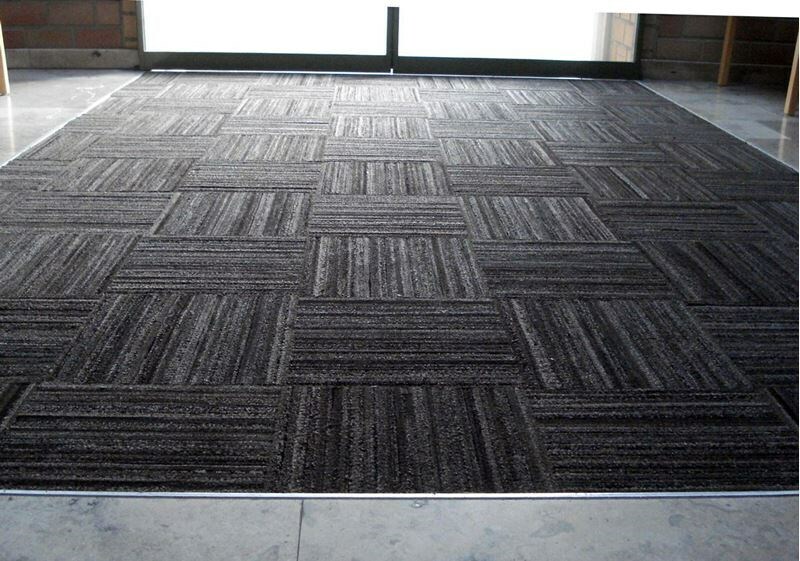 Contact Durable today to learn more about our full line of Entrance and Carpet Matting. Approved dealers and buyers can even log in online to order matting products right on our site. A little slouch can have a big impact over time. While people are often taught to stand up straight as they grew up, certain factors can lead to bad posture, such as fatigue and aging in general. Bad posture can have serious consequences, especially for people who have to work on their feet all day. That’s a serious issue for businesses who need their employees to be healthy, happy, and productive to succeed. Here are some of the hazards of bad posture in the workplace and what you can do to provide your workers with the support they need. Dealing with bad posture can literally be a big pain. Slouching can lead to back, neck, and shoulder pain, with the effects ranging from mild discomfort and annoyance to severe aches. According to Posturebly, this is because poor posture can cause a misalignment of the spine, leading to extra stress on your upper body and joints. Sometime the best way to prevent health problems is a little support. 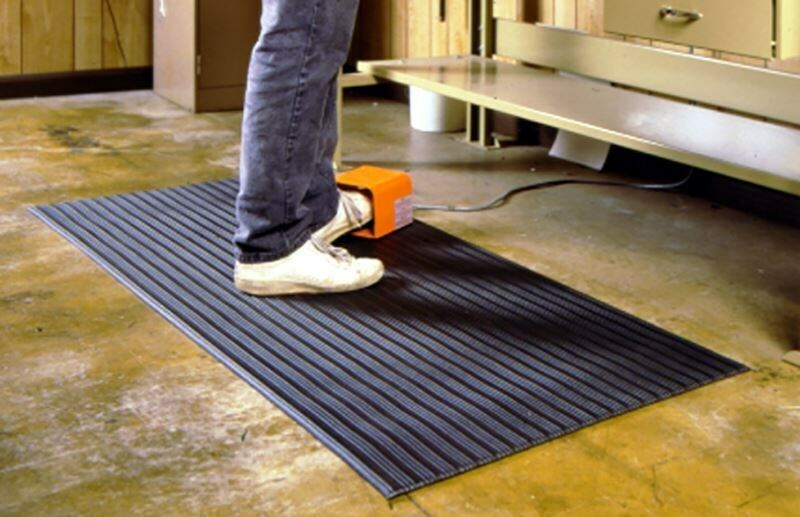 Anti-fatigue mats are a great way to help you and your employees limit bad posture and make you feel better. They do this by providing a level of cushion between you and the floor, relieving some of the pressure created when your feet are in direct contact with the hard floor. There are also a few exercises and stretches people can do to help. BuiltLean has a 10-minute workout session to help strengthen muscles associated with posture. If that’s too much, even something like doing regular stretches before, during, and after work can help loosen up your body and relieve stress. Bad posture is a big problem, but small improvements can help keep your workplace stay healthy and happy. 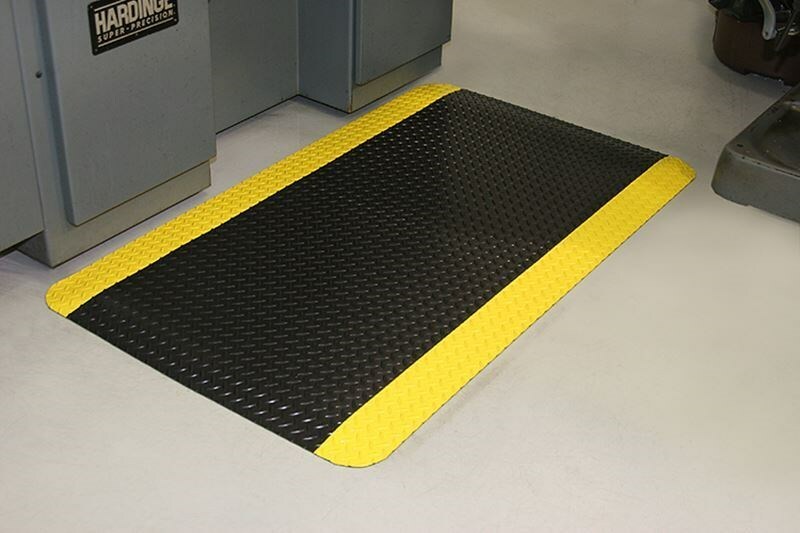 If you need quality anti-fatigue mats for your office, shop, or other business, Log in or register on our site to order anti-fatigue matting and other products directly from our site. 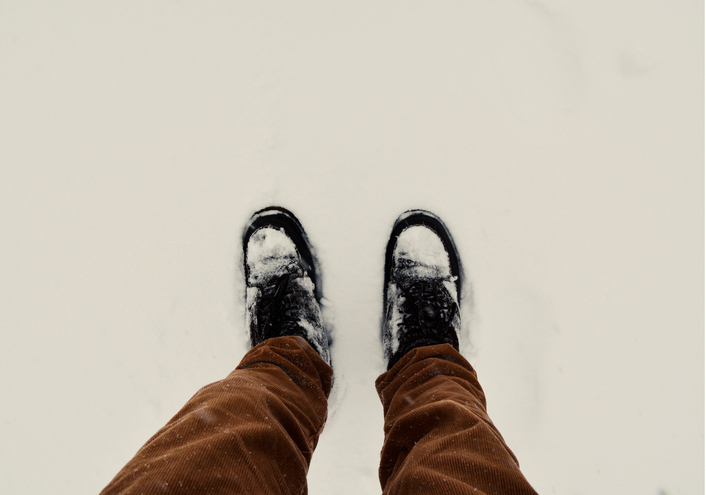 Winter weather can be pretty, but it can make for an ugly situation for your floors. Regular foot traffic can carry snow, ice, and any other debris through your doors, leaving a slippery situation for anyone else who follows. There’s also the chance that people can accidentally carry in rock salt, which can eat away at flooring and cost you a hefty sum to have to repair the damage when winter is over. Fortunately, there’s a solution to help you keep the effects of winter from your floors. Entrance and carpet matting take the brunt of snow, salt, and other debris so that your floors don’t have to. Outdoor entrance mats are designed to be left right outside your entrance. This can give people a material where they can wipe their feet off before coming inside, which is good if you don’t have a ton of space inside. Durable entrance mats are also designed for the outdoors, so you won’t have to worry about them cracking or breaking even when it gets particularly nasty outside. 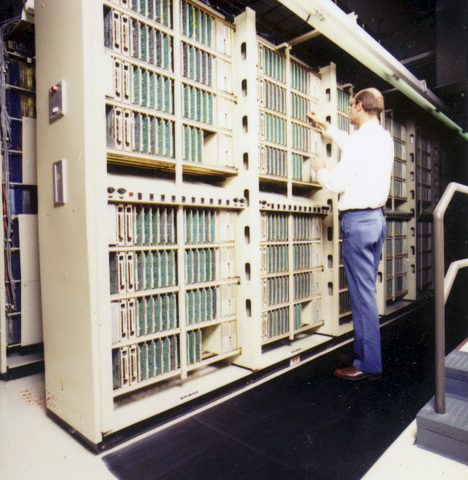 Of course, you should probably have some backup inside as well. Even good outdoor mats can get covered in snow, so quality vestibule carpet or indoor floor mats can catch the melting snow and gritty salt before it can touch your floors, especially in high traffic areas where people may just walk inside without stopping to wipe their feet. Both winter entrance and carpet mats are designed to scrape debris off of footwear and absorb substances like melting ice and snow. That keeps winter where it belongs so your floors stay dry and accident free. A bad slip or damaged flooring can really ruin a nice holiday season. 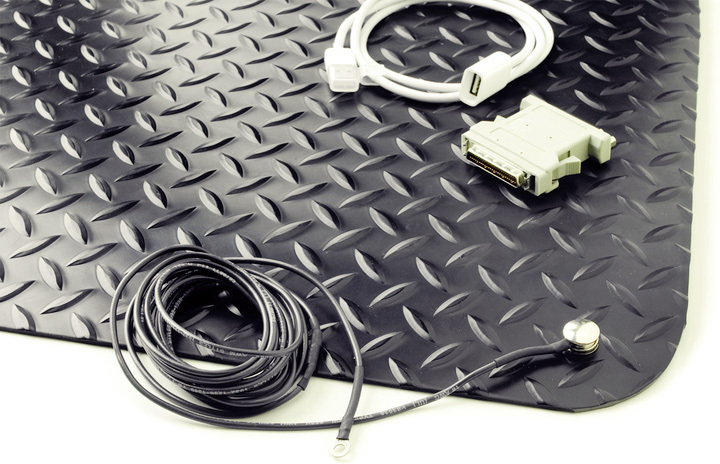 Keep your floors dry and safe this winter with quality entrance mats from Durable. Contact Durable today and find the right winter mats for your business.